Charlie has worked with Refugee Legal since February 2016 and is currently a Senior Supervising Solicitor working with refugee and asylum seeker protection visa applicants. He has sat as a member of the Migration and Refugee Review Tribunals and is currently a sessional member of VCAT. Charlie has a Masters of Laws from the University of Melbourne and is a member of the International Association of Refugee Law Judges. 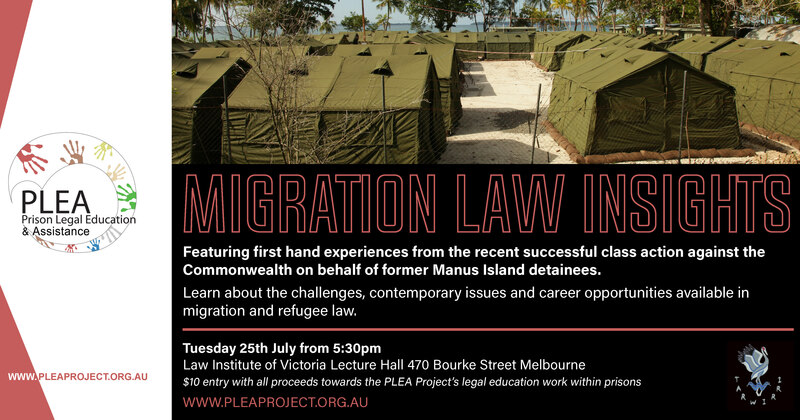 Hannah is a Lawyer with a leading plaintiff law firm, most recently working on the successful class action on behalf of asylum seekers previously held by the Commonwealth on Manus Island. Prior to her current role, she held positions with the Australian offices of Oxfam and Amnesty International. Hannah completed the JD at Monash University and has volunteered with Young Women’s International League for Peace and Freedom, and Young Liberty for Law Reform.